It seems like high-profile company data breaches are becoming a regular occurrence, with numerous well-known businesses having to tighten their security protocols in order to protect their most important assets. Whether your business is large or small, it’s better to protect your private data sooner rather than later, so here we’ll share the top 6 cyber security tips to protect your business. It was once considered acceptable to use the name of your street or date of birth for your password. Many people feared that if they wrote their passwords down, someone could hack into their accounts. As a result, they chose simple passwords that would be simple to remember. However, times have changed and thanks to advancements in technology, hackers are now able to access important data without rummaging through a person’s home or business and looking for precious password books. For this reason, it’s vital you use long and complicated passwords filled with a variety of letters, numbers and special characters. Your data is likely to be more secure if you use long passwords and write them down than it is if you use short memorable passwords and memorise them. Every computer used within your company should be equipped with substantial antivirus software and this should be updated regularly. If employees access company data from their own personal laptops, it could be worth ensuring they have antivirus protection in place too. Once you’ve strengthened your passwords and have installed antivirus software, your next step should be to set out a clear and informative security policy. 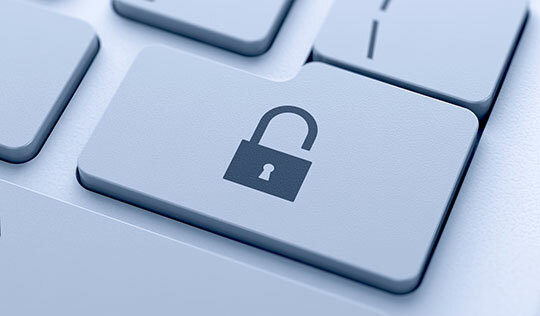 Ensure your employees understand how they can keep sensitive business data safe and secure. If employees access work emails and private documents from their own personal devices, extra care must be taken to ensure these devices don’t fall into the wrong hands. Ask all staff members to password protect their devices, encrypt their data and install security apps to prevent cyber criminals from stealing their data when they’re on public networks. Also, ensure employees are aware of the dangers most commonly associated with opening links or attachments in emails. Clicking harmful links in emails is one of the most common causes of successful data hacks, so it makes sense to be vigilant and delete any suspicious messages. Removable media such as USB drives, CDs and DVDs can also be responsible for data loss and the installation of malicious malware. By restricting the use of such media amongst employees, you can minimise the risk of problems arising. Be sure to safeguard your internet connection by using a firewall and encrypting information. If you have your own Wi-Fi network, it should be hidden and secure. When running a business, it’s understandable that you might struggle to find the time to manage your network’s security yourself. If this is the case, it could be worth seeking the help of an experienced IT support company. Whether your employees are working from a coffee or a hotel, public Wi-Fi hotspots may seem like a great way of getting things done while out and about, but the truth is that your personal devices and the data you store on them are at risk when you connect to public Wi-Fi. By installing a trusted firewall and reliable anti-virus software, you can minimise the risk of getting your devices hacked. Encourage employees to avoid using public Wi-Fi networks to access sensitive data. 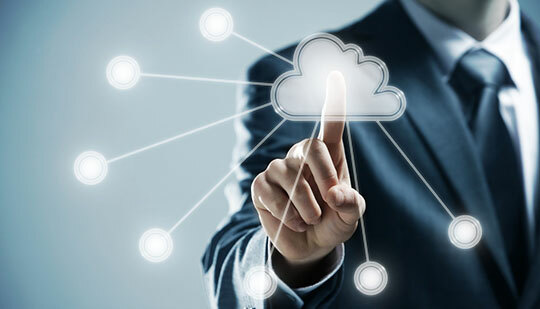 The cloud can be a great way of keeping your important business data secure, particularly if you look for a cloud service provider with extra measures in place to withstand sophisticated cyber-threats. Virtual Desktop is one of many cloud services that allows you to keep your important information on a remote server. If a member of staff’s laptop is lost or stolen, it’s possible to lock their account so that no one else can access your company’s data. Unfortunately, if the data was stored on the laptop, rather than remotely, not only have you potentially handed crucial business assets over to a stranger, you’ll be unable to access this information yourself. 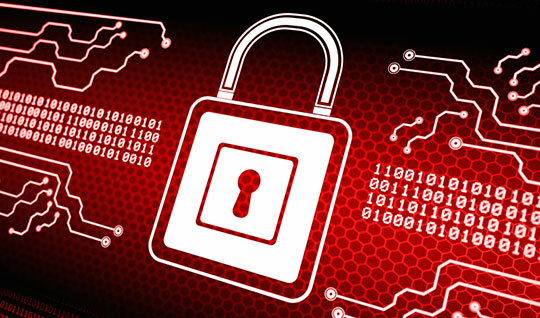 Losing sensitive data can, of course, have a devastating impact on your company. Customers may choose to go elsewhere and you could suffer a loss of reputation. This article is provided by Synextra Ltd, a cloud computing and IT support company based in the UK. Choosing strong passwords are crucial to keeping your security. But always people forget their passwords if it is strong and different site to site. I recommend you to use a password manager tool like LastPass and generate custom passwords for each site. It’s the first and the most important part of the security.